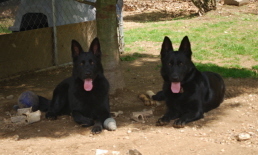 "Do right and fear no one"
"East German Shepherds Bred With Integrity"
We are the home of Von NordOsten Shepherds & Von Barren Berg Shepherds, Quality Working Line German Shepherds. 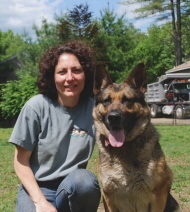 NordOsten Kennel is located in Northeastern Massachusetts. 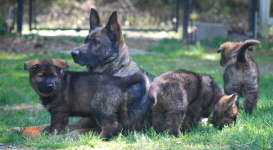 We are a small personal kennel breeding mostly East working line German Shepherds (some with a little West & Czech lines). 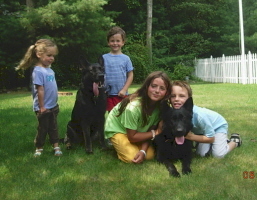 Our goal is to breed the best temperaments and health, dogs that can be good family members or working companion. 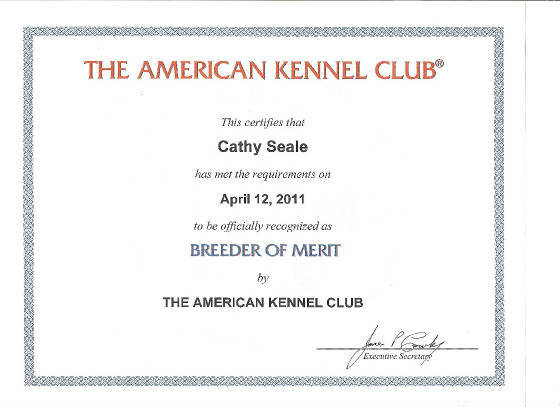 We choose our breed stock carefully and raise them properly to ensure their temperaments and health. You may visit our dogs by appointment and let them speak for themselves. 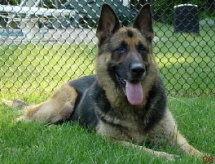 I started breeding German Shepherds in 1998 after my good friend Linda from Miles River Training Kennel, introduced me to the East German Shepherds. I purchase my first German female, Tula Von Barren Berg, from her in 1996, then Zella Von Barren Berg in 1999, and the rest is history. I breed for temperament, health & structure. My dogs and pups are raised around kids and are very social. It is important to keep my dogs healthy and happy so they produce the same. 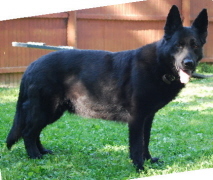 When choosing a stud dog, I look for excellent temperament, stable nerves, good hips and other qualities that will compliment my females. 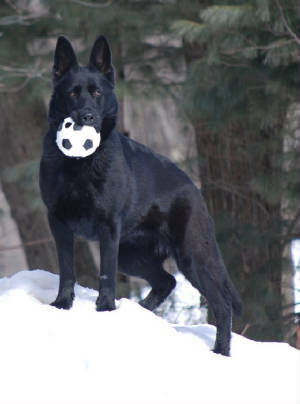 I want a dog that can be a good family companion and also capable of sport. Check out the testimonial page to see what some of my customers have to say. Looking for an all natural safe insect control product? CedarCide is the answer! This product is safe for pets and people and will kill or repel most annoying insects such as ticks, fleas, mosquitos, flies, chiggers and more. Click on the logo below for more info. From time to time people tell me, "lighten up, it's just a dog", or "That's alot of money for just a dog". 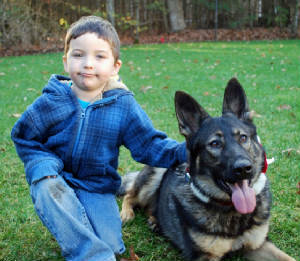 They don't understand the distance traveled, time spent, or costs involved for "Just a dog". Some of my proudest moments have come about with "Just a dog". Many hours have passed with my only company being "Just a dog", and not once have I felt slighted. Some of my saddest moments were brought about by "Just a dog". In those days of darkness, the gentle touch of "Just a dog" provided comfort and purpose to overcome the day. If you, too, think it's "Just a dog", you will probably understand phrases like "Just a friend", "Just a sunrise", or "Just a promise". "Just a dog" brings into my life the very essence of friendship, trust, and pure unbridled joy. "Just a dog" brings out the compassion and patience that makes me a better person. Because of "Just a dog" I will rise early, take long walks and look longingly to the future. For me and folks like me, it's not "Just a dog". It's an embodiment of all the hopes and dreams of the future, the fond memories of the past, and the pure joy of the moment. "Just a dog" brings out what's good in me and diverts my thoughts away from myself and the worries of the day. I hope that someday people can understand it's not "Just a dog". It's the thing that gives me humanity and keeps me from being "Just a woman". So the next time you hear the phrase "Just a dog", smile, because they "Just Don't Understand". "Our Dogs Leave Pawprints On Your Heart"
"Life gets sweet just as soon as you ban all sarcasm and meanness from your repertoire. Furthermore, there is no reason to hang around anyone who dwells in these nasty tones."